If anyone ever doubted that desperation breeds creativity, all one has to do is look at the creative, right brained thinking going on in the debt settlement industry. Today is October 27th, 2010 and it marks the beginning of the end for most debt settlement companies as their ponzi scheme business models have now been regulated away. However, not all of them are content to slink away silently into the night. This new law has spawned a new breed of creativity among settlement people. I call these people “The Loopholers.” The achilles heal to government regulation is that as long as man is free to think, man will always try to find loopholes around the various government restrictions. This is just a natural occurrence among governments and the governed. Sometimes it is good and sometimes it is bad. However the loopholers tend to bring about more and more regulation in an attempt to stop the loopholing. This can become a vicious circle that quickly can lead to over regulation. In the hopes that this phenomenon will not happen in the debt settlement industry and eventually drive even the legitimate companies out of business, I think it is imperative to call these loopholers out on their BS. It should not simply be people like me and fellow consumer advocates like Steve Rhode, the get out of debt guy. It needs to be everyone. There is no question that consumers benefit from an honest and fair group of companies that can provide options between credit counseling and bankruptcy. These loopholers act as a parasite feeding off of the industry. Eventually the regulators will come in to deliver a death blow to the parasite but will also most likely kill the host and this will create a hardship for consumers. Here are a few that I just jotted down. 1. If you think a generic iPad retails for 1200 dollars… You might be a Loopholer! 2. 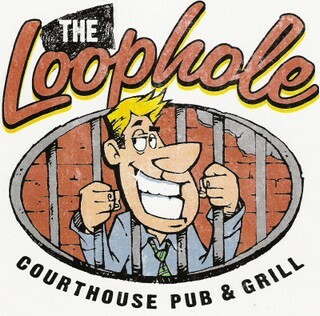 If your employees are on strike and holding out for gas cards… You might be a Loopholer! 3. If your sales presentation is often interrupted by some guy shouting “grande, light moca frap, no whip”… You might be a Loopholer! 4. If dog repellent is now standard issue for all new hires… You might be a Loopholer! 5. If you offer a free debt settlement service with the purchase of every $5,000 dollar E-Book… You might be a Loopholer! 6. If a strange attorney’s name suddenly showed up on your company letterhead… You might be a Loopholer! 7. If at your last company meeting you were pitched on the benefits of living abroad… You might be a Loopholer! 8. If you are now using carrier pigeons as the only means to communicate with potential clients… You might be a Loopholer! 9. If you think hiring Debt Network USA sounds like a smart thing to do… You might be a Loopholer! 10. If you read this article and it pisses you off… You might be a Loopholer! Admittedly most of these won’t make sense to consumers that are not aware of what is going on in the debt settlement industry. If you are curious enough to want an explanation on how these apply to companies looking for loopholes to continue ripping off consumers, feel free to ask a question in the comments. If you are in the industry or are aware of what is going on and you are feeling creative, please add one or two in the comments below. Don’t be shy. The more exposure that is brought to this issue, the sooner these loopholers can be either put out or shamed out of business. It is nice to find your site I have tried to research sites to find a good one to help with our bills. I had to quit work in June.I was a nurse for 20yrs I can’t do it anymore medical. I worked for a Hospice agency last, that was as slow as it gets,but due to lack of help I ended up having a nervous breakdown and I had Fibro to start with and the 3rd and last yr I was dx with Lupus and a host of other things due to the stress.I went on medical leave then and my bills are catching up with us.Is there a good consildation co. out there? 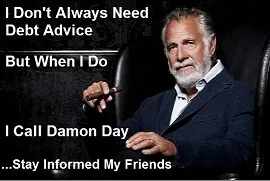 I hope that the information on my site has been helpful to you. Yes there are good companies and good people out there who put consumers first. Unfortunately in the debt relief industry, that is more the exception, than the rule. We don’t want to put the cart before the horse though. Before looking for a company to help you out, you first need to know how to best handle your situation. For instance, there is no point calling a debt settlement company if what you need to do is file BK. So the first thing is to analyze your situation and your goals and determine the best strategy, then we can talk about strategy implementation. As a Registered Nurse myself, I am directing this to Jenny. I was caught up in a trap with Debt Free Associates which is a debt settlement company. Whatever you do, do not associate yourself with any of these scam artists who promise the moon and deliver nothing. 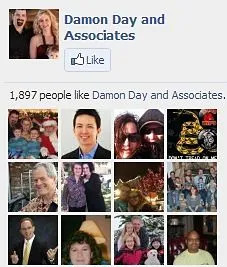 With Damon’s help I was able to recoup some of my money back, but still have a lot left to try and recover. Bankruptcy is an option, but you also have other recourse…talk with Damon and go over these options. I also know there are non-profit debt consolidation and counseling services all over the place. Debt consolidation is a totally different option from debt settlement. Stay away from them.